Welcome to Animal House Pet Care! We take great pride in providing the very best in personalized, loving care for your precious pets in the comfort, security and familiar surroundings of their own home. We have years of experience with many types of animals, from horses and other farm animals to dogs and cats…… even exotic pets, like snakes, birds, iguanas….and of course pocket pets like hamsters and mice. Busy families know their pets need and enjoy daily exercise through walking, running or fitness play, but many find it hard to commit to a regular schedule to maintain their pet's fitness level. This is when your professional pet provider can bring a comfortable routine and stability to your pet's needs. Dogs who love the thrill of adventure especially enjoy our field trips to the beach, park, lagoon, and even to the pet stores for a little “shopping” and play dates with their dog friends. Whether you use our overnight services, daily visits or pet taxi, your peace of mind is most important to us. We are insured, bonded and pleased to provide references for you from clients who have used our services. A “get-acquainted” meeting at no charge with one or two of our professional pet care providers is arranged prior to engagement so we can gather important details relating to your pet's needs and customize a care plan. We invite you to contact Animal House Pet Care with any questions or comments about services available for your pets. We hope you will give us the privilege to serve you and look forward to hearing from you soon. Susan McBride, owner of Animal House Pet Care, is a life-long animal lover and dedicated to providing services to enrich your pet's life. She attended Rawhide Ranch, a residence vocational school and ranch camp in Bonsall, where she learned and practiced animal care and excelled in riding. Susan previously worked for the YMCA as a lifeguard and ran after-school programs and animal camps. She also worked for the San Diego Wild Animal Park. 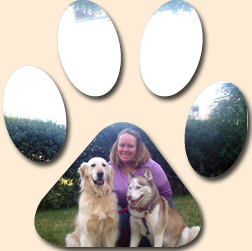 Susan lives in Carlsbad with Jazmine, her Siberian Husky. She is experienced in First Aid and CPR. 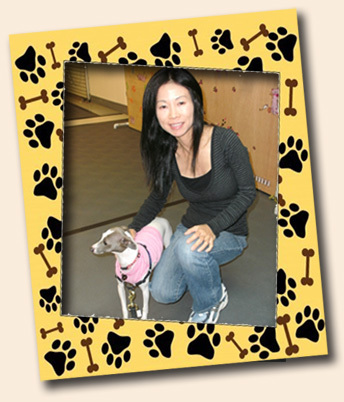 Susan provides services primarily to Carlsbad, Rancho Santa Fe, Encinitas and San Elijo Hills. Gina McBride, co-owner of Animal House Pet Care,grew up in Georgia in a home where there were always pets around tolove. She had dogs, cats, hamsters, birds and even an alligator (yes, when it was legal and okay) and later bred Samoyeds in Colorado before moving to North San Diego County. She primarily handles the marketing and writes/designs the company materials. Gina is also a Certified Financial Planner and owns McBride Financial Advisory/Philanthropy Concepts specializing in financial life planning and strategic philanthropy, where she advises clients to include their pets in financial and estate planning. Gina was named Carlsbad Citizen of the Year. Esperanza Hope Barba, AHPC Associate. By living in the midwest, Hope spentmost of her days enjoying the company of animals whether it be catching toads, tending to animals other relatives’ farms, riding horses with friends, or taking care of her dog, Sparky. She received Sparky as a gift when she was six years old and still has him today. She is part of the National Geographic Association and the National Parks Conservation Association, and is currently going to school to be a conservation biologist. She enjoys making art in her free time and has received several awards including, but not limited to, the Da vinci award and the LCC VPA’s Visual Art award. Hope has volunteered at the Sisters of St. Francis home at Lourdes College and the public library, and has experience tutoring and caring for children of various ages. She has also worked as an assistant at her family’s business, CB Illustrations. Hope lives in Carlsbad with her Boston Terrier, Spartacus(Sparky) and betta fish, Ghibli. She enjoys giving good loving care to all pets. Chloe Watkins, AHPC Associate. I have worked with many kinds of animals, large and small! I have a lot of experience with dogs, horses, birds and cats and can care for so much more! I grew up in a house full of animals and find most of my joy in caring for them and just love spending time playing and hanging out with them. I have owned and cared for many furry critters, from small mice to raising and training a black stallion! Dogs are my passion and I am currently enrolled for dog training certification through ABC Dog Training in hopes of becoming a professional dog trainer one day. I have raised chickens and ducklings until they were mature and healthy to go off to farms and I rescued and raised a litter of newborn lab puppies after the mother had passed away during birth. Happily all of the animals have been living healthy and wonderful lives and currently one of the puppies (Hunny) lives with me in my home in Encinitas. Truly animals have captured my heart and if I could, I would love nothing more than to tend to animals every day! Michelle Hashimoto, AHPC Associate. I can't remember a time when I haven't been an animal lover. Growing up in Japan my family lived in an apartment so I was limited to small ones. I was surrounded by birds, turtles, lizards, hamsters and tropical fish. But many friends and relatives had cats and dogs and I never missed an opportunity to volunteer and take care of them when they were away. Now that I have a house I seem to making up for lost time...I have two cats, two dogs, two birds and an aquarium. They all are members of our family. I am an advocate of positive reinforcement and enjoy training dogs. I have have graduated with both of mine, one advancing to agility courses. I believe it's important to build trust with the animals for which I care. I am First Aid and CPR certified by the San Diego Humane Society. I am very active in my spare time, enjoying working out at the gym, taking my dogs to 5k events, golfing, snow boarding, gardening and scuba diving, in which I am a certified Rescue Diver. Sarah Collins, Hi! My name is Sarah. The McBrides and I have been family friends for many years. When I was younger Susan would watchme from time to time and we would visit a local favorite by the name of Rawhide Ranch! A wonderful organization with a wealth of farm animals. Now that I am older, after having worked at Rawhide Ranch with the livestock and many other types of critters, I have come to work for Susan while I bolster my degree in Biology. My passion is for all living creatures, from humans to cats to geckos, and I have cared for them all. I am blessed with my cantankerous cat Grace and my fearless Crested Gecko named Vlad and a Kenyan Sand Boa named Rita. Here I am with my wonderful Golden Retriever named Raja. We proudly support organizations that rescue, shelter and care for animals.